The WSOP Circuit’s 2016/2017 season ended on a visit to the Harrah’s New Orleans casino, with 758 players turning out for its $1,675 Main Event to create a prize pool worth $1,137,000. 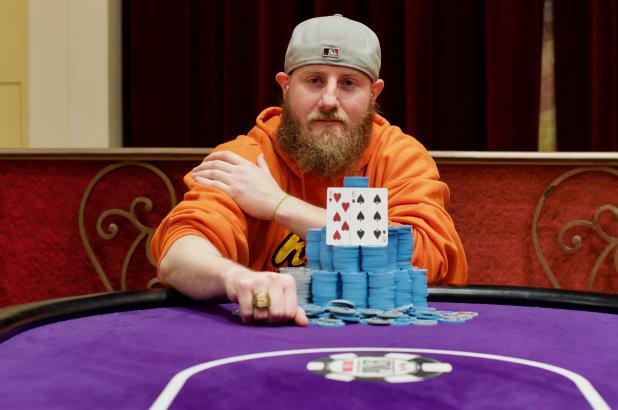 The tournament got underway on Friday, and by Sunday night its champion was crowned with Jason Baldridge eventually triumphing over the field to capture a gold ring, and a first place prize of $227,412. Nevertheless, Baldridge’s decision paid off handsomely for him, and as well as securing a huge score, the pro will have the opportunity to test his tournaments skills once more as he was also awarded a ticket to the WSOP Global Casino Championship scheduled to take place from August 8-10 at the Harrah’s Cherokee Casino Resort in North Carolina. After an action packed Day 1, just 144 players made it through to Day 2, at the end of which the remaining 10 players took an overnight break before resuming their battle once more on Day 3. Amongst the notable pros seeing a return on their buy-ins but falling short of a final table appearance was Sam Grizzle in 37th ($4,093), Joe Tehan in 21st ($9,630), and Loni Harwood in 15th ($14,042). Baldridge subsequently stamped his authority on the final table, and edged ahead as the chip lead on a few occasions before finally cementing his lead when just five players remained. Baldridge (A-Q) then took out Ryan Leng (A-J) in 5th, and after William Tait took care of Caufman Talley in 3rd, the heads-up phase of the competition was set. Baldridge subsequently ground his opponent down to just 200bbs before the deciding hand was played with Tait (9h-7s) bluffing all-in on an 8s-5h-2s-10h-As board, only to be called by Baldridge (8h-6s) holding just a pair of eights.